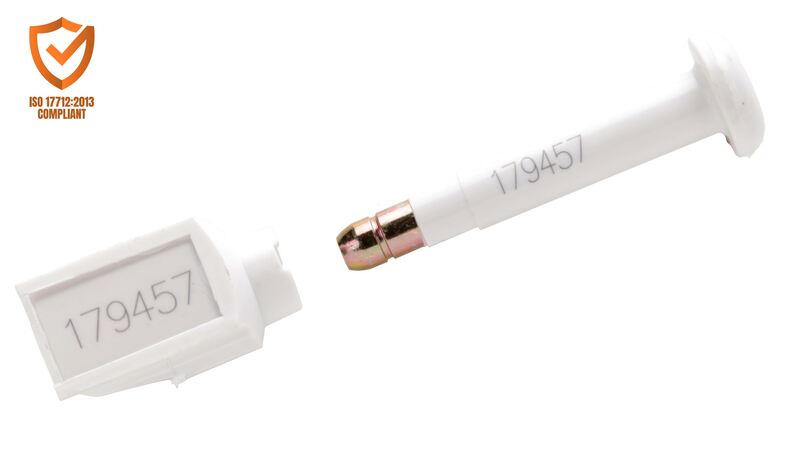 Our ISO-certified, CTPAT-compliant High Security bolt seal, the CS IV Bolt features anti-spin technology. 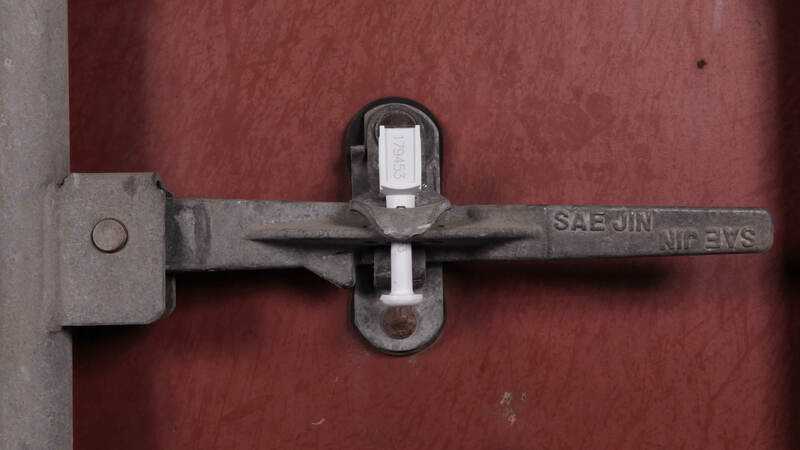 Steel bolt and plastic-coated steel locking chamber provide basic tamper indication. Our ISO-certified, CTPAT-compliant High Security bolt seal, the CS IV Bolt features anti-spin technology. 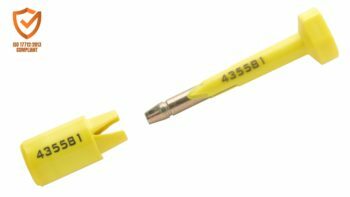 Steel bolt and plastic-coated steel locking chamber provide basic tamper indication. Anti-spin characteristics prevent covert attacks, making the CS IV Bolt a step ahead of conventional bolt seals. 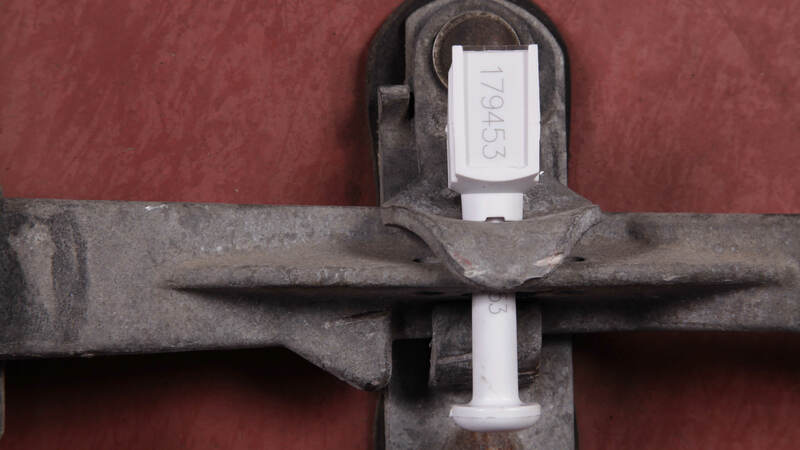 Since May 15, 2014, U.S. Customs and Border Protection (CBP) has applied standards for CTPAT compliant security seals in conformity with ISO 17712:2013 with Clause 6. Seals are categorized as Indicative Seals, Security Seals, and High Security Seals depending on the criteria they meet. As a minimum security practice, CBP through CTPAT mandates all seals on containers and trailers entering the U.S. must be secured by High Security bolt seals with documented, verifiable proof of compliance under ISO 17712:2013 criteria by an ISO 17025 A2LA Accredited and Certified Laboratory. Below is a compilation of the ISO 17712:2013 High Security Seal requirements together with test results for our CS IV Bolt anti-spin bolt seal. Testing was conducted by the ISO 17025 A2LA Accredited & Certified Laboratory, Dayton T. Brown, Inc. of Bohemia, New York. Only sold by 100 unit cartons (price per unit is $1.35) or by 200 unit cartons (price per unit is $1.25). Please select the type of carton and number of cartons you wish to purchase below.